The Dodos Dig Deep on New Certainty Waves Single "SW3"
Guitarist Meric Long and percussionist Logan Kroeber, who together make up The Dodos, have shared the video for “SW3,” the second single from their forthcoming seventh album, Certainty Waves. The LP, which Long calls the band’s “midlife crisis record,” is due out on Oct. 12 via Polyvinyl Record Co.
“SW3” is defined by Kroeber’s deft percussion, a syncopated flurry of drumstick clicks that moves so quickly, it almost stands still, like a propeller spinning at high speed. “Is that what you wish, honestly?” Long sings, his probing questions mirroring the hero’s journey of director Ryan Daniel Browne’s accompanying video, starring Shaolin teenager Queena Tran as a martial arts student seeking her inner warrior … and boy, does she find it. 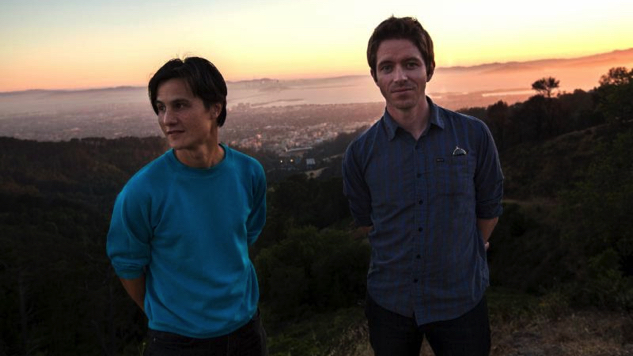 The Dodos will kick off a North American tour on the day of their new record’s release, beginning their run in San Francisco on Oct. 12 and playing through a Nov. 16 stop at the Bowery Ballroom in NYC. They’ll share stages with Prism Tats, Palehound and Wild Pink along the way. Listen to “SW3” and watch a 2008 Dodos show from the Paste archives below. You’ll find the band’s tour slate further down.